With financial constraints so tight today, being able to accurately determine software development costs when managing IT projects is a vital skill for any project manager to have. After all, get it wrong and as we have all seen, the costs mount dramatically. On some huge programs the cost over run has amounted to billions! 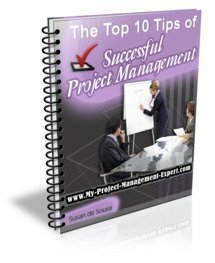 Therefore it is key part of a project manager duties to make devise an accurate project budget. This is particularly true of projects where competitive bidding by external providers is a major element. An extremely effective way to minimize budget over runs is by efficiently estimating project costs of which major part will be the software development costs. The process can especially be facilitated better by more frequent sampling and loosening of constraints between the various parts of a project. Software development cost estimates are often error-prone and difficult to determine because the task requires a significant amount of effort to be performed correctly. Furthermore, the PM undertaking theproject cost estimation process has to be experienced enough to rely on their intuition to include sufficient contingency in the budget. Software development is a rapidly growing area and there are few projects which do not include some element of programming. It is also an area which is increasing in complexity and with complexity come increased costs and the potential for problems. This is the most basic purpose fulfilled by software development costs estimation. A thorough knowledge of costs involved in a software development helps in risk-cutting as prior estimates can be made and the pitfalls compensated for. This enables the production of a realistic plan which ensures the entire project delivers to its fullest potential. Estimates must never be forced to match the resources available and must be looked at independently. This is the most-widely used model in estimating software development costs. The technique involves estimating the costs using mathematical formulae and linking costs or inputs with metrics to estimate the outputs. Adjusting this model to a specific development environment can increase the accuracy its results. This method depends upon the expert judgment and experience to estimate the effort and costs necessary to complete a software project plan. This method is used widely but is regarded as subjective by many and is often pitied against more structured methods like the Delphi Approach. This is a comparatively new approach, but the estimates yielded off this technique can be extremely accurate. The technique involves methods like neutral networks, case-based reasoning, fuzzy logic, analogy, regression trees and hybrid system. Arranging for high-quality configuration management of releases and environments. Conducting unit testing as an integral part of the process of software development will save project time and cost later on. The traditional methods like expert judgment and the algorithmic cost model involve several problem areas such as the inability to handle categorical data, inability to cope with missing data points, lack of reasoning capabilities and the likes. It is for that very reason that machine learning techniques have started to gain a stronghold in software development costs estimation.